North Theatre Department Receives Top Theatre Honors at State! 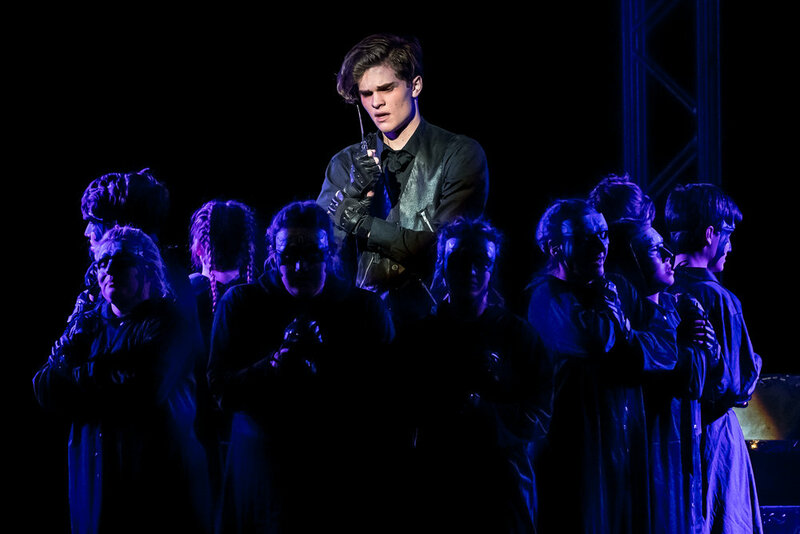 The Appleton North High School One Act cast and crew competed recently at the Wisconsin High School Theatre Festival State Finals held at Viterbo University in La Crosse. 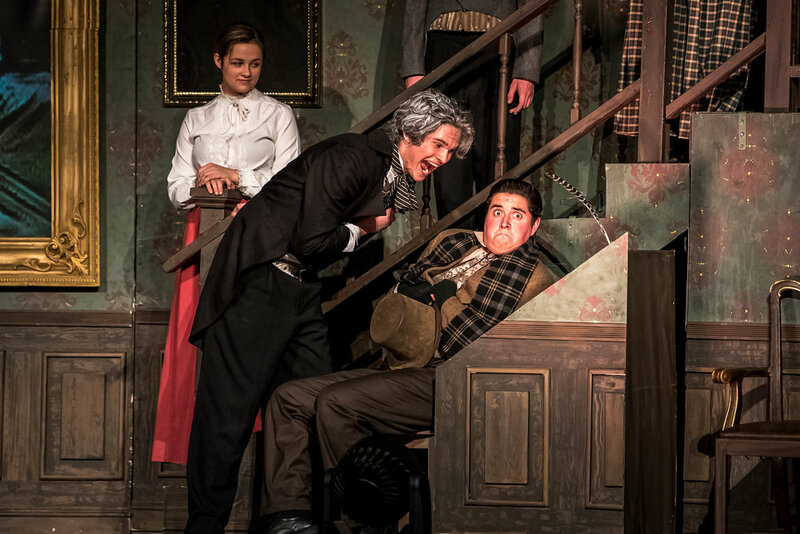 North’s production of an original adaptation of Charles Dickens A CHRISTMAS CAROL received the top award of Critics Choice as well as an Outstanding Ensemble Award, Outstanding Crew Award, Director’s Award and three Outstanding acting awards recognizing senior Jack Cain as Ebenezer Scrooge, senior Dru Swokowski as the Ghost of Christmas Present, and junior Mark Woznicki as Bob Cratchit. North’s performance received a rare standing ovation from the overflow crowd and enthusiastic praise from the judges. Over 1500 high school students participated in this year’s Festival which requires each school to present for evaluation a fully-staged play of no longer than 40 minutes. Less than half of the competing high schools qualified for the state competition after having competed in both district and sectional meets held in October and early November. Each qualifying school then performed for a panel of three judges during the two-day festival that adjudicates the performance and decides on the quality of the production and what honors, if any, should be awarded. In addition to the various high school productions, a variety of workshops taught by theatre professionals were also available as part of the Theatre Festival. One Act is a competitive event for high schools across Wisconsin. Each participating school must prepare and present a fully-staged play of no longer than 40 minutes. 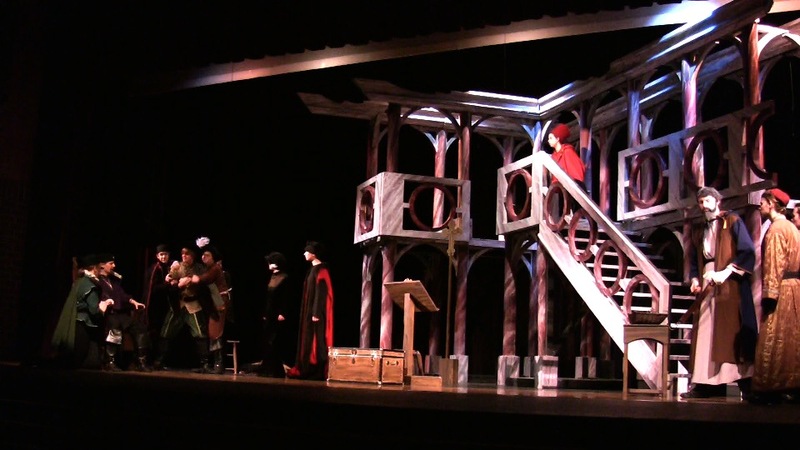 The plays are presented at District and Sectional competitions. Those who the judges advance to the final level are invited to take part in the Wisconsin High School Theatre Festival held at a UW university each year in November. During the two-day competition, each qualifying school then performs for a panel of three judges who decide on the quality of the production and whether any extra honors will be awarded.